Burris, Roland W. The Man Who Stood Up to be Seated: A Controversial Appointment to the United States Senate, the Memoirs of Roland W. Burris. Colorado Springs: Hunter Heart Publishing, 2014. U.S. Congress. 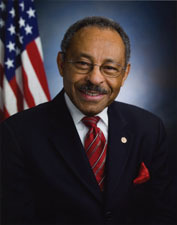 Tributes Delivered in Congress: Roland W. Burris, United States Senator, 2009-2010. Washington: U.S. Government Printing Office, 2012.